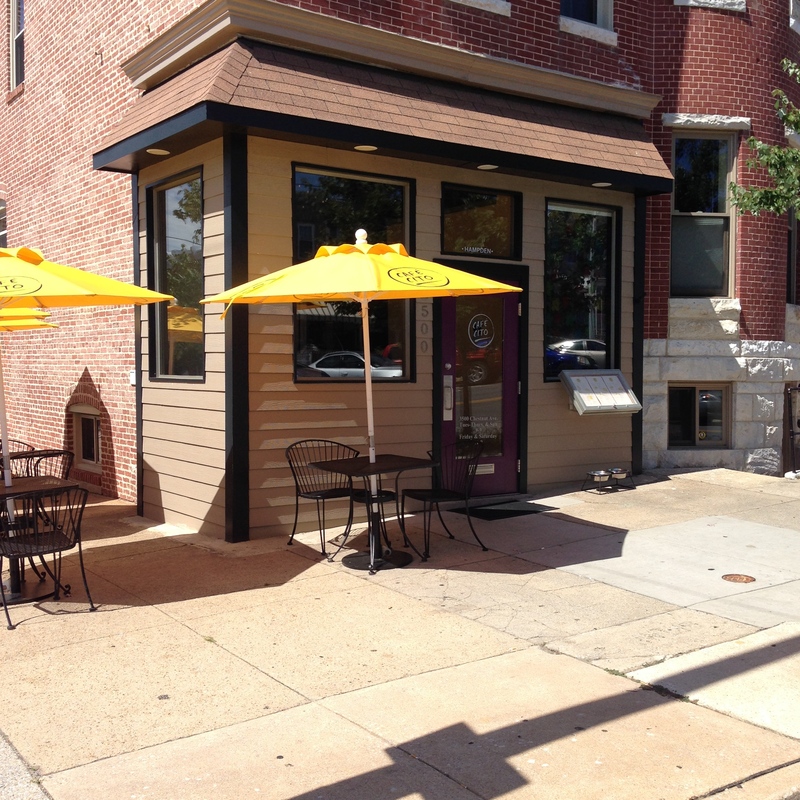 Cafe Cito – eating my way through Charm City! I am a fan of breakfast and places that serve it well after 1pm. These guys do not have a liquor license, but are BYOB. I am not sure what that means for mimosas. Hmm, note to self… They do serve Portland’s Sumpton Coffee – several different beans – Indonesia, Rwande Huye Mountain and their own house blend. We had a super sweet and attentive server named Aurora – I couldn’t have asked for a better Sunday afternoon experience. My favorite is that we have a chance to be a little retro and use a chemex. My coffee was super smooth and mild – needing very little milk or sugar, plus I was able to drink it sitting in the sunshine on a beautiful sunshiny day. I actually ordered the first thing I saw on the menu, a hand crafted egg sammy on ciabatta. A fried egg with smoked duck sausage – a perfect combination of savory with just a little sweet. 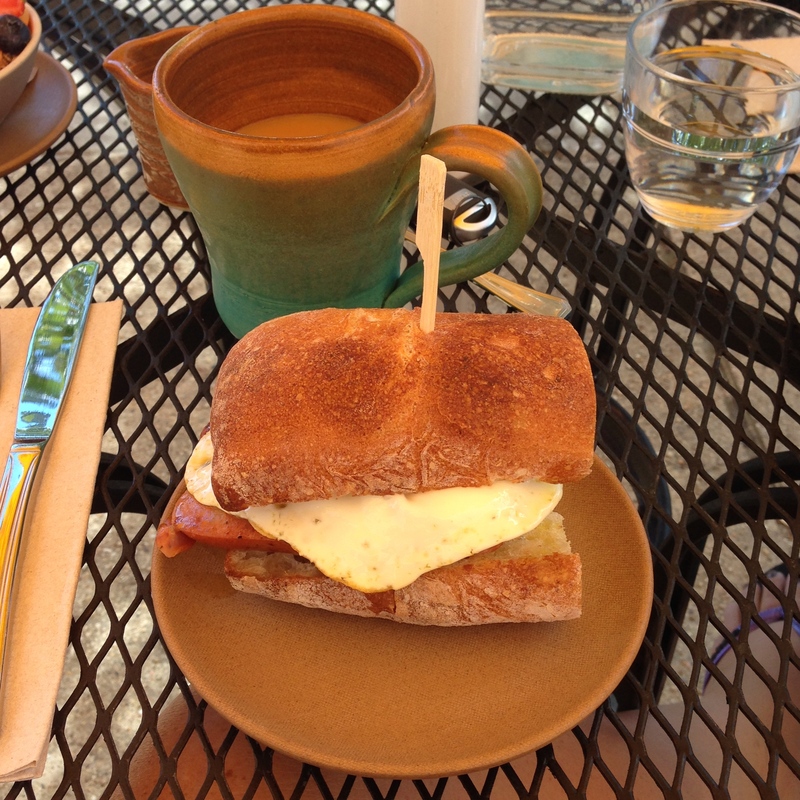 My egg was a stellar over medium; the yolk flowed adding great taste and smooth texture to the sandwich. They have a multigrain, but I wanted to spluge on this gorgeous crusty, yet soft ciabatta roll. It was buttered just a little. I loved it. It is a ginormous sammy on a super tiny small plate. My mom went with the summer frittata after asking for some help from Aurora. A great sized portion of egg mixed with roasted red peppers, caramelized onions, baby spinach, basil, and goat cheese, served along a large baby greens salad. 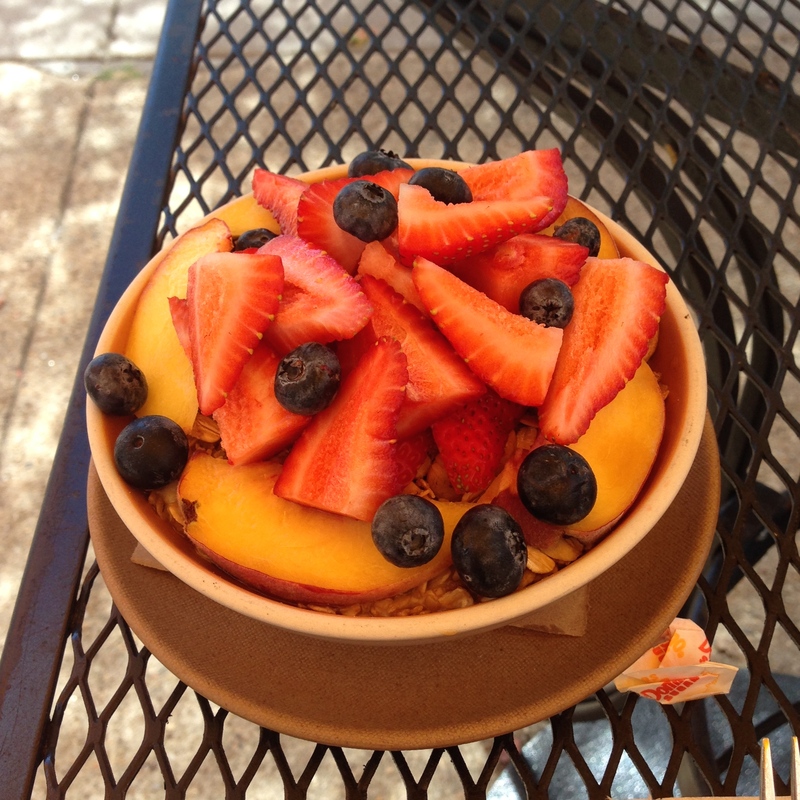 As if that wasn’t enough food, I couldn’t resist the organic vanilla yogurt with house made fruit and granola. I think this pick says it all. This entry was posted in Brunch, Charm City, Coffee, Hampden, Yay! I'm a Fan!. Bookmark the permalink. Great food and lovely service after a morning flight. Absolutely delicious from the coffee to the last bite. Calm, fresh and delicious… Could be my favorite breakfast in Baltimore!